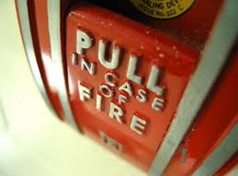 We are equipped to meet the rigorous requirements of most of today’s complex fire alarm systems including systems originally installed by others. We test and inspect all system components, keeping them ready to respond at the required sensitivity level, while significantly reducing unwanted false alarms. Fire Solutions NW provides thorough and complete documentation of the inspection service provided in the form of both a hard copy and electronic PDF of the final inspection report which documents all completed testing, including any deficiencies found and what corrective actions are recommended. Contact Fire Solutions NW today. We test automatic initiating devices such as:heat and smoke detectors,manual pull stations,duct smoke detectors and sensors,and more.We also test the fire protection/sprinkler system initiating devices that are connected to and supervised by the fire alarm system. All testing is completed in accordance with the most recent edition of NFPA 72 – National Fire Alarm Code and scheduled at a time convenient to you.